For the last few years we have seen more and more of the lead for the 2008 wired probe be exposed due to surface melt. We were hoping that this year for the first time in Iceland we’d be able to recover it. 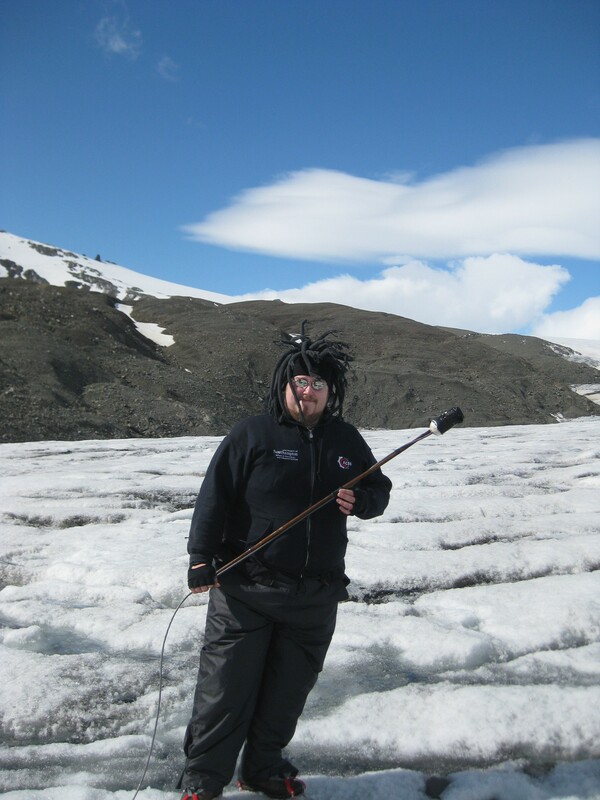 When we arrived this year we found the lead going into a stream on the surface of the glacier, and with a bit of wiggling Graeme (shown below) was able to extract the probe. Graeme with a wired probe from 2008 which has been recovered. We’re looking forward to being able to open it up and see how well it has survived. This entry was posted in Fieldwork, Hardware by Phil. Bookmark the permalink.